Founded in 1923 on Shorewood, Wisconsin, North Shore Bank provides financial services such as savings, banking loans and investments to cater communities on Wisconsin's eastern edge - from Kenosha in the south to Green Bay and the Door County peninsula in the north. 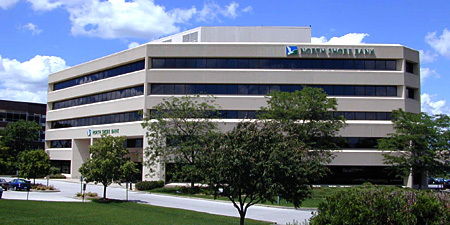 The North Shore Bank required an Access Control and Time Attendance system to cater for their 1000 employees. Previously they have been using keypad authentication for Access Control but felt no longer fit for purpose. Needed it to be affordable within their budget. Wanted Biometric Fingerprint Authentication for increased security against unauthorised use and reliable data integrity. NSB was also keen on the convenience of employees no longer requiring smart card's as all they need is their unique fingerprint to access the premises. They wanted a system that can streamline all employee records quickly and easily over a remote site. ACTAtek acknowledged its's requirements and implemented North Shore Bank their bespoke Time Attendance & Access Control solution. ACTAtek's integrated biometric fingerprint technology on the terminal prevents problems of "Buddy Punching" where employees may pass on their ID's to clock in despite not being present on the site. ACTAtek TA software included in the solution has been designed to simplify user management with automated wage calculations and generated reports. Web based technology from the ACTAtek TA software enables users to access information on the reports from almost any location in the World. North Shore Bank was able to utilise the advanced, fully featured biometric Time Attendance and Access control system without compromising on quality, ease of use and affordability. They praised the service and the solution provided by ACTAtek and highly recommends them to others clients.